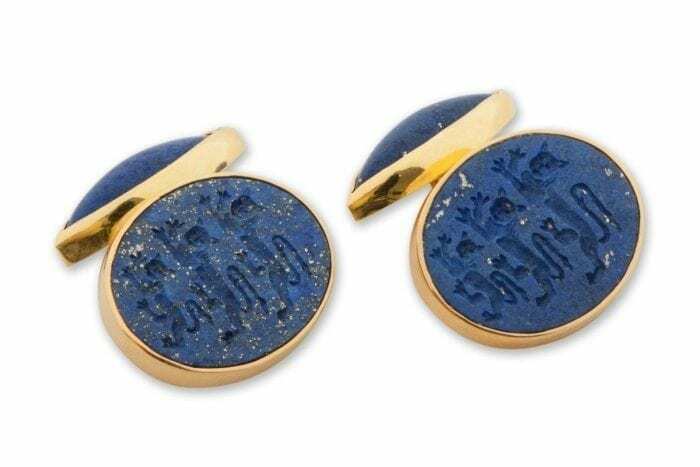 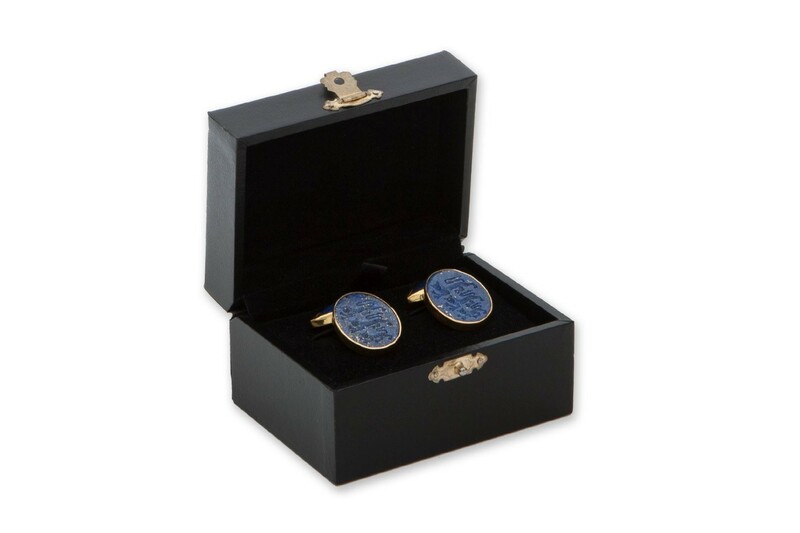 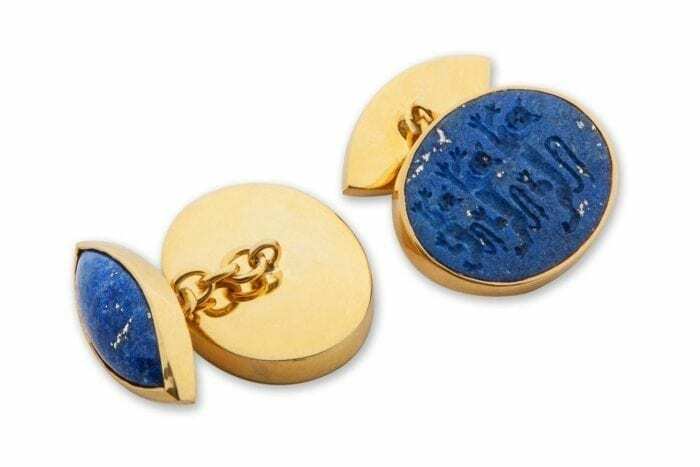 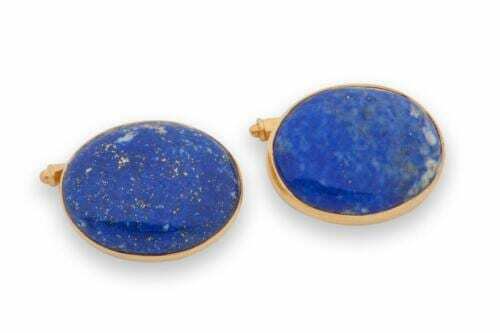 Hand crafted ovals of genuine Lapis Cufflinks are joined by a gold plated (5 Micron 18K Gold) sterling silver chain to create these wonderful elegant cuff links. 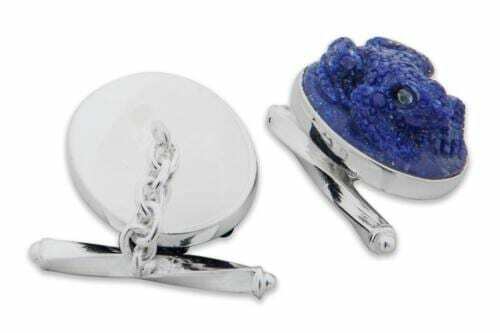 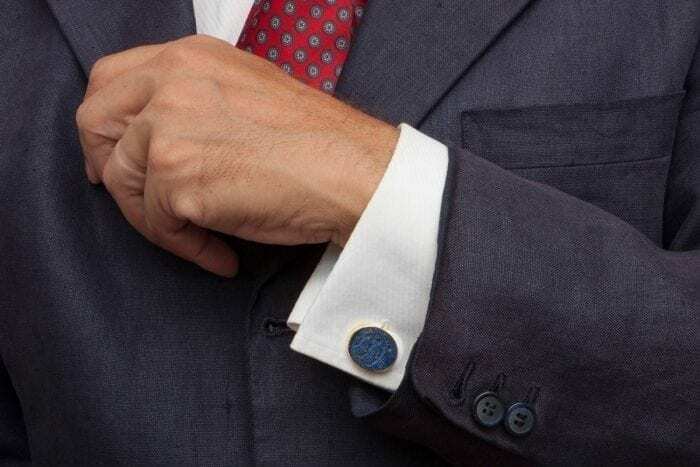 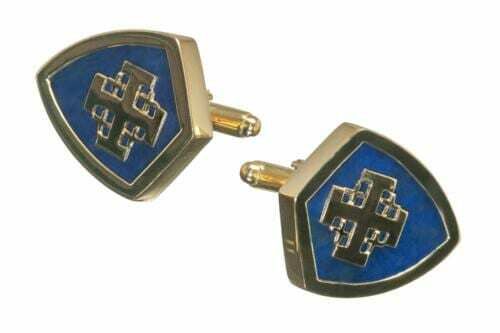 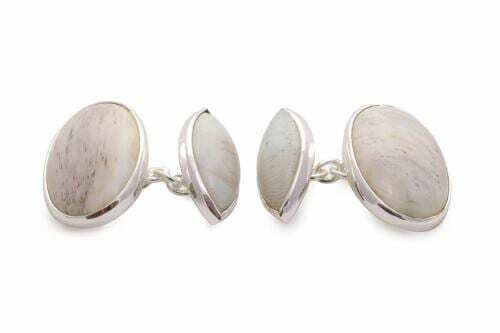 These cufflinks are crafted from top quality Lapis from the same rock in the Double Lozenge style. And hand engraved intaglio three lions in the ovals. 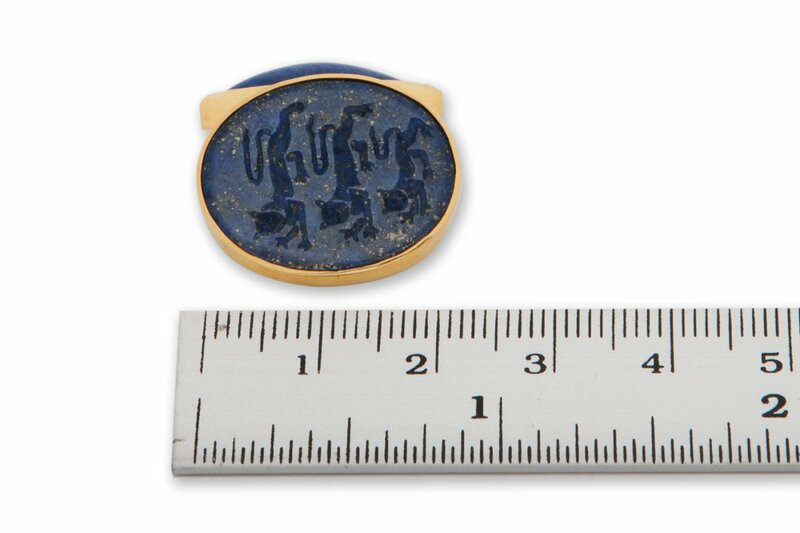 These 4 stones measure 22 x 18 mm (7/8 x 11/16 inch) at one end and 20 x 7 (25/32 x 9/32 inch) at the other.